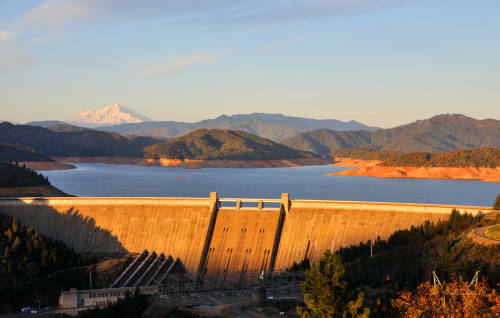 It is held back by the ninth tallest dam in the United States and is part of the Whiskeytown-Shasta-Trinity National Recreation Area and Shasta-Trinity National Forest. Shasta Dam was constructed in 1945 to provide irrigation water, electric power, and flood control for the farmers and residents of the Sacramento Valley. 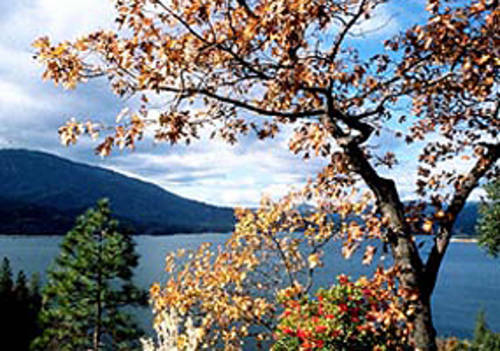 Shasta Lake is conveniently located just ten miles north of the city of Redding, California just off Interstate 5. Finding a marina on Shasta Lake is not difficult. The lake’s marinas are well equipped with docks, boat launch facilities, restaurants, bars, grocery stores, and fuel stations. The marinas are Sugarloaf on the Sacramento arm, Holiday Harbor on the McCloud River Arm, Jones Valley Resort, Silverthorn Marina, Antler’s Marina, Packer’s Bay Marina, Shasta Marina Resort in the center of the Sacramento Arm, Digger Bay Marina, and Bridge Bay at Shasta Lake, the lake’s largest marina. Sportsmen will find fantastic fishing on Shasta Lake including largemouth and smallmouth bass, catfish, trout, and salmon in this beautiful 500-foot deep reservoir. Camping, recreational boating, and water skiing provide alternative recreational activities. The Best Western Hilltop Inn is located in the heart of Redding and just a short drive to Shasta Lake, Sundial Bridge and Lake Shasta Caverns. Convenient to the Convention and Trade Center and the Civic Auditorium.